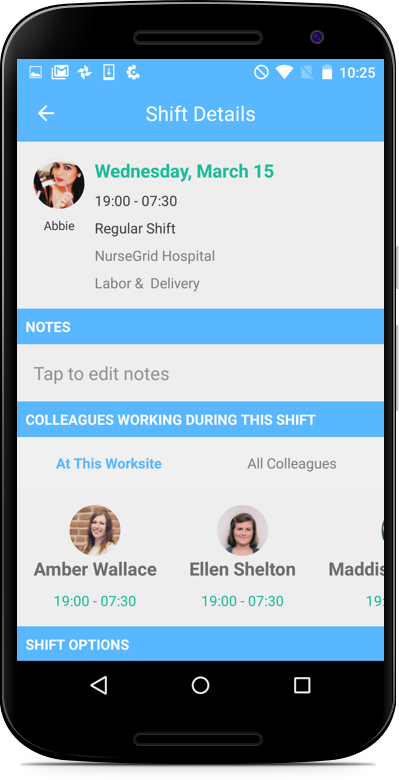 Notes can be added to any existing shift just by tapping on the shift and typing directly in the Notes section of the screen. Notes can be edited at any time, and you can always delete your notes if they're no longer relevant. Your colleagues won't be able to see your notes when they view your schedule.